In the past few years, cryptocurrencies have gained incredible traction, especially in Europe, the Middle East, Asia and North America. The Crypto boom of 2017 is a testimony to this claim. However, along with growing numbers, the cryptocurrency space has also witnessed several scams and scandal, which have forced governments to take steps for regulating the market. For instance, the QuadrigaCX Exchange Scandal in Canada has forced the Canadian government to take stricter actions. It resulted in the Canadian government inviting recommendations from industry experts and analysts for framing formidable regulations. In fact, countries across the globe are taking steps to regulate digital assets, in a bid to avoid any future debacles. Japan has already tightened its regulations on cryptocurrencies, while countries like India, which have been sceptical or hostile towards digital tokens, are in final stages to launch the regulatory framework for the crypto space. Taking a similar route, Switzerland has also decided to lay down rules and regulations for the digital asset industry. 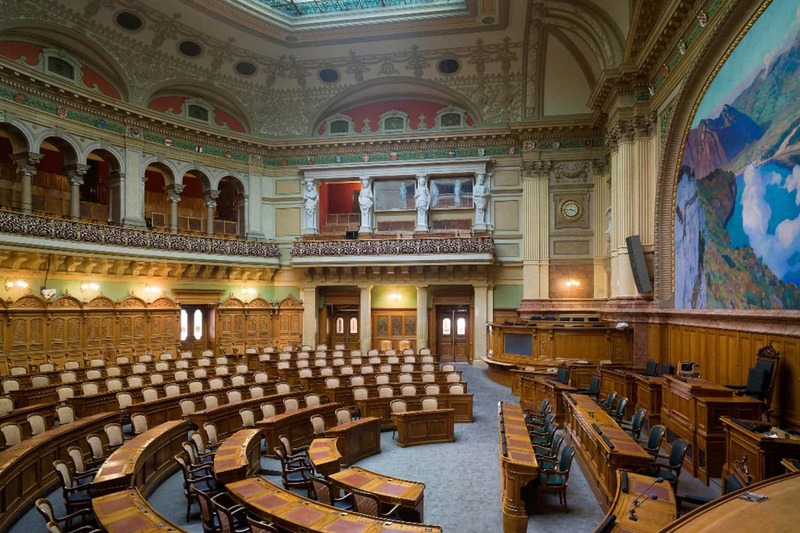 Earlier this week on Wednesday, the Swiss Federal Assembly, the legislative arm of the government, approved a motion directing the Federal Council to regulate cryptocurrencies. Switzerland has been one of the leading countries in blockchain and cryptocurrency technology. The Swiss town of Zug is internationally referred to as “Crypto Valley”. The Council approved the motion with 99 to 83 votes in favour, with 10 abstentions. The European country has been facing several issues due to unregulated cryptocurrency market. Regulating the same can tackle these problems like money laundering, extortion, and fraudulent activities. Though the country’s traditional currency, the Swiss Franc, also poses similar problems, the stricter regulations placed on it help the government to prosecute criminals, control market activity and prevent unfair practices like price manipulation. Lack of regulation in the Crypto space has resulted in fringe elements to evade tax and circulate black money across the globe for illegal activities, and manipulation. Reports claiming that certain Crypto exchanges in several countries have been manipulating trade volumes to create traction for the exchange. This has resulted in extreme volatility in Bitcoin prices, in the past couple of years. The cryptocurrency market hit its peak in December of 2017 when Bitcoin reached a price of $19,700. Ever since, the market has been in quite a bad shape. The year 2018 was one of the worst periods in Crypto history, with several cryptocurrencies losing as much as 90% of their price value. The largest digital token, Bitcoin also kept bleeding for six straight months, finally ending the losing streak in February earlier this year. The market has seen increasing volume since the Bitcoin prices showed signs of recovery. However, some of the independent market surveillance agencies have pointed out that Crypto exchanges have been faking daily volumes in millions depict Bitcoin resurrection, to increase traction. Such manipulations and scams are very difficult to prosecute as well, on the basis that digital tokens are often not recognized as legal tender. All major countries, which have a safe haven for cryptocurrencies, are now undertaking sector regulations. The US, Canada, the UK Germany, Japan, India, China and the Middle East are a few of these which have either changed their existing regulations are brought in newer regulations. In hostility towards digital currencies, Reserve Bank of India’s head released circular in April 2018 directing all the banks in the country to stop servicing cryptocurrency related businesses. This left many Crypto exchanges struggling to survive, few of them even shut down operations completely. On February 25, the Supreme Court of India has directed the government to submit the finalized draft regarding cryptos within 4 weeks.